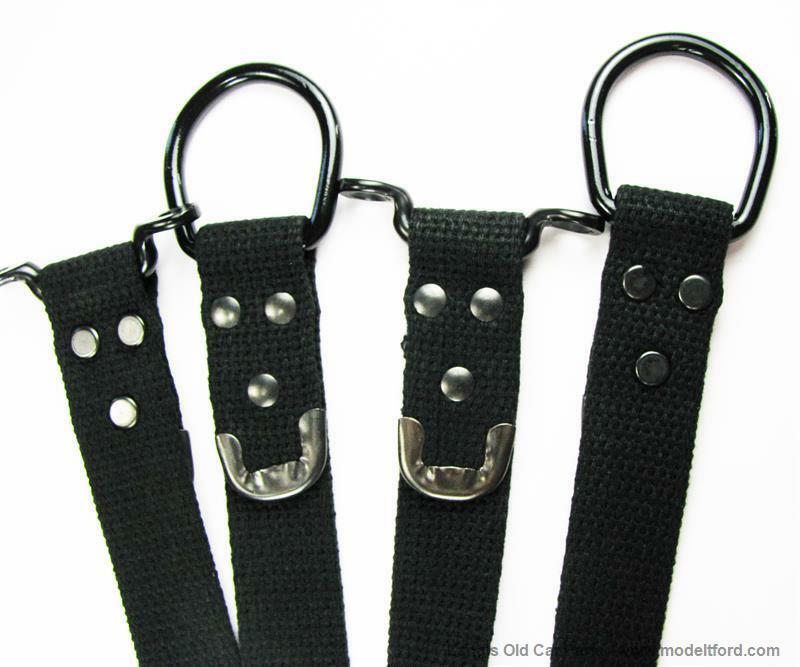 Back curtain straps, blackened cotton web as original, Original style Ford buckles and hardware. 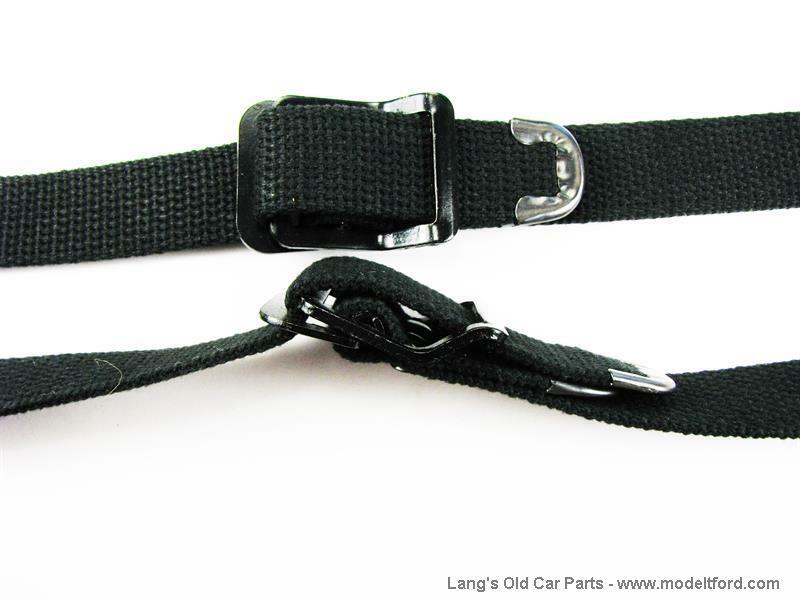 Used on 2-man tops. 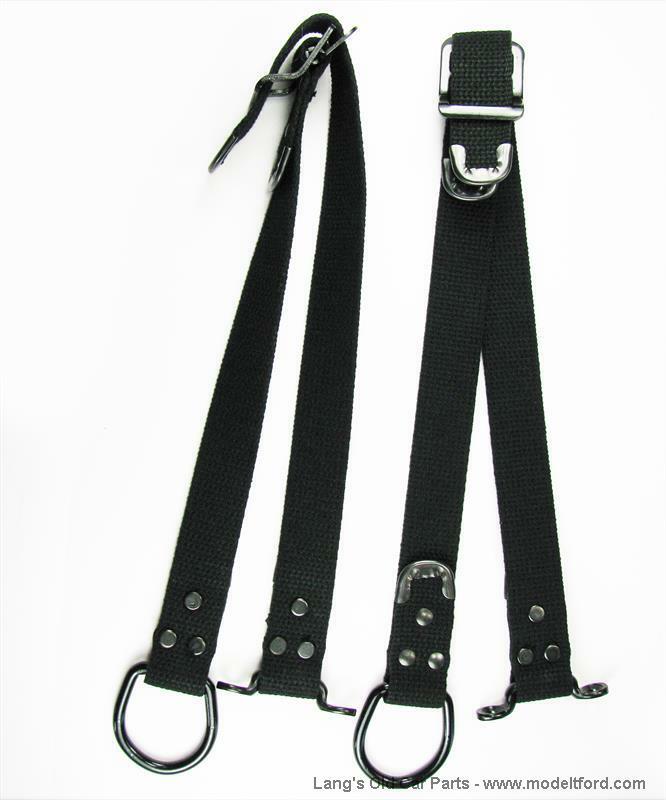 Includes footman loops, buckles, correct D-rings, upper and lower straps with correct tips.